Administrative Law Judge (ALJ) Adrienne L. Krikorian, Office of Administrative Hearings (OAH), State of California, heard this matter on January 23, 24, 25, February 7, 8, 9, 13 and 16, 2012, in Oak Park and Van Nuys, California. Attorney Jennifer Rowe-Gonzalez, of Fagen Friedman Fulfrost, LLP, represented Oak Park Unified School District (District). Susan Roberts (Roberts), Director of Pupil Services, attended on behalf of District on all hearing days. Attorney Henry Tovmassian represented Student. Attorney George Crook and Student’s parents (Parents) attended all hearing days. On September 15, 2011, District filed a request for due process hearing. OAH granted a continuance of the due process hearing on September 29, 2011. At the hearing, the ALJ received sworn testimony and documentary evidence. At the end of the hearing, the ALJ granted a continuance until March 9, 2012, to allow the parties time to file a closing brief. On March 8, 2012, the ALJ granted the parties’ joint request that the record remain open until March 12, 2012, to allow them time to file, as a supplement to Exhibit D-8, a transcription of the recording of the June 14, 2011 IEP. The parties submitted closing briefs and the joint supplemental exhibit within the time allowed, and the record was closed on March 12, 2012. Did the District’s June 14, 2011 individualized education program (IEP), offer Student a free appropriate public education (FAPE) in the least restrictive environment (LRE), and, if so, may District implement the IEP without Parents’ consent if Parents choose to enroll Student in the District? 1. At the time of hearing, Student was 14 years old and resided with Parents within the District. He was unilaterally enrolled at Parent’s expense in a general education classroom in the ninth grade at Chaminade Preparatory High School (Chaminade), a private parochial school. If enrolled in the District, Student was eligible for special education under the category of autistic-like behaviors. 2. Student began attending District’s Brookside Elementary School (Brookside) in kindergarten during the 2002-2003 school year. He was determined eligible for special education services under the category of autistic-like behaviors in May 2003. He continued to attend Brookside through the beginning of the fifth grade, during the 2007-2008 school year. During his time at Brookside, Student’s placement was in a general education classroom. He received special education services and supports in the areas of speech and language therapy (SL), occupational therapy (OT), social skills training, psychological counseling services, a one-to-one non-public agency aide, and a behavior support plan (BSP). Student had difficulties staying on task, participating in lower interest academic tasks, and he exhibited behavioral problems in the classroom. Student manifested limited self-control and territoriality, which triggered aggressive behaviors with his peers including punching, poking, and unwelcome touching. During unstructured time, Student would become excited, resulting in both verbally and physically aggressive behavior toward his peers. 3. Student’s aggressive behaviors escalated as he grew older. In the fourth grade, during the 2006-2007 school year, District psychologist Kristin Nave and Cathy Carpenter from the Inclusive Education and Community Partnerships Group administered a functional analysis assessment (FAA). During the assessment, his teachers reported that Student had made limited social/emotional progress, exhibited cyclical mood states that caused a lack of inhibition, and exhibited a low frustration tolerance. At the time of the FAA, he was observed playing with a group of four other male students, during which he appeared to seek attention through teasing of other students and making loud noises. District created a behavior intervention plan that targeted new strategies to increase positive behaviors and to decrease negative behaviors. 4. Student’s mother (Mother) testified at the hearing. During fourth grade, Student was reported to have bullied other students, and he perceived that he was being bullied and teased by his peers. His behaviors resulted in Student being segregated from other students during unstructured activities, and, from Parents’ perception, being stigmatized as aggressive by other students and their parents. 5. Pursuant to his last signed District IEP dated August 31, 2007, Student was placed in the fifth grade at the HELP Group’s Pacific Cove non-public school campus. During the latter part of the first semester, Parents, who were unhappy with the placement, requested that District return Student to Brookside. 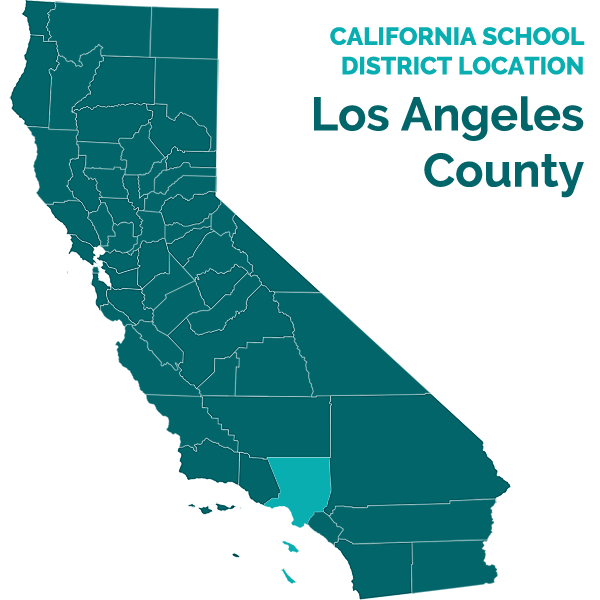 District declined, and, in January 2008, Parents privately placed Student at Our Lady of Malibu (OLM), a private parochial middle school. District funded Student’s tuition at OLM during the 2007-2008 and 2008-2009 school years pursuant to successive due process settlement agreements. He received no special education services or supports at OLM during those school years. Student succeeded academically in general education classrooms at OLM, receiving above average grades without special education supports or services. He was consistently well prepared, completed his homework, demonstrated good work habits, and he was an active participant in class discussions and activities. 6. During the 2009-2010 school year, Student’s seventh grade report card reflected strong academic achievement in all areas. During the first reporting period, he exhibited behavioral problems in his reading, language and science classes; however the second and third reporting periods did not indicate any behavior problems. 7. Parents privately contracted with psychologist David Morrison (Dr. Morrison) in 2009 to provide Student weekly social skills training in a high-functioning social skills group after school. Dr. Morrison, who testified at the hearing, received his Ph.D. in psychology in 2007. He has worked as a licensed psychologist, including in the area of educational psychology, with children and adults with developmental disabilities, including autism. He did not assess Student or observe him at OLM. Dr. Morrison demonstrated his qualification to offer opinions relating to Student’s social/emotional and social skills needs. 8. During the time Dr. Morrison worked with Student, Student exhibited deficits in reciprocal communication, which affected his peer relationships, and he had difficulty expressing thoughts and feelings, initiating conversations, identifying or relating to the interests of his peers, and showing interest in his friends. He had difficulty sustaining and following conversations; he occasionally exhibited “tics” when he was anxious, most often during unstructured activities; and he became frustrated or annoyed when interacting with peers who talked a lot and annoyed him. Dr. Morrison taught Student skills, including recognizing cues and using appropriate vocabulary, to enable him to engage in more sustained reciprocal conversation and social interaction with his peers. Student’s behaviors improved with Dr. Morrison’s assistance. 9. In April 2010, District conducted psychological, SL, OT and academic assessments and found Student eligible for special education as other health impaired/attention deficit hyperactivity disorder. District held a triennial IEP meeting on May 14, 2010, during which it offered Student placement in a general education classroom 86 percent of the day at District’s Medea Creek Middle school, daily specialized academic instruction in directed studies for a total of 1000 minutes, 10 weekly 30-minute counseling sessions at the beginning of the year, followed by 30 minutes of counseling and guidance twice monthly in a separate class, and 30 minutes of counseling and guidance twice monthly in a general education class. Counseling services would start with skill building, and would then progress to a continuation of skill building with the application of skills in a naturalized setting. Parents did not consent to any part of the May 14, 2010 IEP. 10. District funded Student’s tuition at OLM for the 2010-2011 school year, pursuant to a settlement agreement. At OLM, Student was placed in an eighth grade full-inclusion general education setting without special education supports or services. At the end of the second quarter, Student performed at grade level standards in all areas; he achieved 90 percent or higher in all academic classes with the exception of 86 percent in physical education. Four of his teachers described him as consistently well prepared. His work habits were an area of strength. His science teacher, Ms. Ruse, reported that “the quality of Student’s work affected his grades”, although school records showed that his first and second quarter science grades were 90 percent or above. His language arts teacher, Ms. Gillespie, reported that grammar/mechanics and written expression were areas that needed improvement, although his grade was 90 percent. Behavior was rated as an area of strength in five out of seven of Student’s academic classes; however, administrators and teachers at OLM observed an increase in problematic, aggressive behavior resulting in an average of one referral to the office per month during the school year. He was involved in an incident in or about March 2011 where he reacted to name calling by his peers by impulsively making a threat, which resulted in a brief suspension from OLM. 11. In preparation for his June 2011 annual review and transition to high school, District conducted a multi-disciplinary assessment of Student in May and June 2011. District assessors included school psychologists Kristin Alford (Alford) and Jennifer Golden (Golden), speech therapist Ellen Bohleen-Ferguson (Ferguson), special education teacher Carole Jones (Jones), and occupational therapist Yael Forman (Forman). The results of the assessments, which will be discussed in detail below, were included in a multi-disciplinary assessment report dated June 8, 2011. 12. Alford, who testified at the hearing, is a licensed educational psychologist with a bachelor of arts in psychology and a master of arts in school psychology. She holds credentials in Advanced Pupil Personnel Services as a behavior intervention case manager (BICM). She has been employed as a school psychologist since 1997 and by District since 2002. She has participated in numerous trainings and workshops during her career relating to her job duties as a school psychologist, which include giving and interpreting assessments, behavior intervention and counseling, coordinating IEPs, preparing BSP’s and attending IEPs. She has performed approximately 900 psychoeducational assessments, 10 percent of which were related to eligibility for students with autistic-like behaviors. Alford provided special education counseling services to Student through the second grade. Alford evaluated Student’s suspected areas of need in the areas of social/emotional functioning and cognition. She demonstrated that she was qualified to assess in the areas she tested, and to offer opinions relating to Student’s psychoeducational and behavioral needs. 13. Alford coordinated the administration of the multi-disciplinary assessment, including coordinating scheduling of the various assessments, retrieving background information, integrating results from the other assessors and compiling the final report from their written findings. As part of the assessment process, she reviewed Student’s records including prior District and private assessment reports, and interviewed Student’s private service providers including Dr. Morrison and Dr. Sandra Kaler (Dr. Kaler), OLM school principal Ms. Ricci, Ms. Ruse, and Parents. 14. Alford observed Student at OLM and during the more structured parts of her assessment, which took place off OLM’s campus. In Ms. Ruse’s chemistry class, Student was seated in the back of the room in a class of 10 students. He was focused and listened to teacher instruction, and he blurted out an answer near the end of class. Student transitioned well from Ms. Ruse’s class to Ms. Gillespie’s class, talking appropriately with his classmates between classes. In Ms. Gillespie’s class he sat in the front row of the classroom near the teacher’s desk, and seemed comfortable with his peers. Alford observed Student smile and occasionally exchange words with classmates, eliciting laughter from his peers. Student exhibited appropriate eye contact, responded appropriately to reprimands and corrected his behavior without speaking back to the teacher. He handled teasing and understood the nature of activities he was involved in. During game playing, he seemed somewhat more excitable than the other students and the volume of his voice and gesturing were more noticeable than those of the other students. During Alford’s testing, Student expressed his understanding that District was assessing him to evaluate him for return to a District school. He told Alford he did not want to go to a District high school. He seemed less concerned about focusing and doing his best during testing than during his 2010 assessments. However, he was more socially aware than in 2010 and more interested in making jokes; he was more concerned with how he was perceived and seemed to feel awkward and uncomfortable at times; and he engaged in sarcasm, and initiated more conversation than in 2010. 15. Ms. Ruse reported to Alford that Student did not have a social mechanism to appropriately respond, including using sarcasm, to peer statements that he perceived were teasing. Instead, Student responded with outbursts and in an aggressive manner that were interpreted by his peers as hostile. OLM Principal Ms. Ricci reported that Student had improved in his ability to join activities, that he joined basketball games with his peers independently, and that the majority of his social interactions were acceptable. He had a tendency to become frustrated easily and had trouble handling his feelings. Other students often teased Student using inappropriate slurs regarding sexual orientation, which, while “common behavior” for boys his age in Ms. Ricci’s opinion, tended to incite Student’s negative reactions. Academically, Student did not need any special education support during the eighth grade, his writing improved with the use of graphic organizers, and he did well in a general education classroom. 16. Dr. Morrison reported to Alford that Student attended a social skills group supervised by Dr. Morrison once a week throughout the year, that Student had difficulty at school managing age-appropriate teasing, and he responded aggressively with strong verbal statements when he perceived teasing as a personal threat. Student needed to develop his understanding of how words affected others, and to acquire coping skills for anger and frustration. Student’s levels of frustration appeared to Dr. Morrison to be controlled by medication prescribed by his psychiatrist, Dr. Naqvi. 18. Alford administered the Wechlser Intelligence Scale for Children – Fourth Edition (WISC-IV), including subtests in the areas of verbal comprehension, working memory, perceptual reasoning and processing speed. Student’s full-scale score was 141, placing him in the 99th percentile of students his age. Student demonstrated no areas of weakness in the areas tested. Alford selected and administered the assessment so as not to be discriminatory on a racial or cultural basis; provided it in Student’s native language of English; used it for the purposes for which it was valid and reliable; was qualified to administer the assessment based upon her training and experience; and administered it in accordance with instructions provided by the producer of the assessment. The assessment results were valid. 19. Alford also administered the Achenbach Rating Scale (ARS) to Parents and to Gillespie, Ruse, and OLM teacher Nelson. The results showed that Student’s ability to sustain attention and focus on tasks was no longer an area of weakness that affected Student’s learning. Alford appropriately selected and administered the ARS and the results were valid. 20. Alford measured Student’s visual motor skills by administering the Bender Gestalt Visual Motor Test. His scores, which were consistent with scores from the same test in 2010, ranged from the 95th to 99.9th percentile, indicating that he was very developed in neuro-sensory integration for his age. Alford appropriately selected and administered the test, and the results were valid. 21. Alford also administered the Auditory Comprehension and Auditory Reasoning subtests of the Test of Auditory Processing Skills-Third Edition (TAPS-III) to further evaluate Student’s cognitive skills in auditory reasoning and comprehension. She selected the test based upon teachers’ reports that Student had difficulty understanding figurative language in verbal exchanges with peers and in certain aspects of reading comprehension. Student scored in the average range in the 63rd percentile. While Student did not demonstrate a deficit in the areas of auditory reasoning and comprehension, he had a relative weakness, when compared to students of similar age, in the areas of understanding figurative language and in using contextual clues to understand a short reading passage. His responses reflected defensiveness and a tendency to view other people from a hostile/antagonistic frame of mind. Although Alford noted that Student did not appear to give his best effort during testing and lost focus throughout the two subtests, the results were consistent with other assessments administered to Student, and therefore the tests were appropriately administered and the results were valid. Alford determined that administering the TAPS-III subtests in the area of phonological abilities was not necessary based upon Student’s average scores on those subtests in District’s 2010 triennial assessments and on current classroom and academic data from OLM. Similarly, Alford did not administer the memory subtests because Student demonstrated significant strengths in those areas based on the subtests from the 2010 TAPS-III and his scores on the 2011 WISC-IV. Alford appropriately selected and administered the TAPS-III and the results were valid. 1 Dr. Kaler’s 2011 assessment of Student was not completed before Student’s June 14, 2011 IEP team meeting. 22. To assess Student’s social/emotional functioning, Alford administered several tests. She provided Parents with the Adaptive Behavior Assessment System – Second Edition (ABAS-II). Parents reported that Student had weaknesses in the areas of self-care and self-direction, and he was low in consistency in completing certain tasks. He needed improvement in controlling his feelings when not getting his way, controlling his disappointment when a favorite activity was cancelled, prioritizing school work over leisure activities, and planning ahead on big projects. In the area of social relationships, Parents reported that Student was sometimes or always able to demonstrate the skills evaluated, including expressing happiness or sadness, showing sympathy when others were upset, trying to please others, complementing others, and listening to friends or family who needed to talk about a problem. Student was weak in the area of social awareness, and had difficulty maintaining positive relationships with others. Alford correlated Parents’ reported weaknesses to reports from Dr. Morrison and OLM teachers. Student’s needs included learning coping skills to improve self-control and to better understand how his behavior affected others. Alford appropriately selected and administered the ABAS-II and the results were valid. 23. Student responded to a self checklist that he liked to be with friends, felt loved by his parents, was happy most of the time and felt academically competent. He also felt that most people liked him, and he was content with his physical appearance. He did not like school, was not sure if his teachers cared about him or whether other people were laughing at him. 24. Alford administered the Achenbach Youth Self Report Form (YSR), Child Behavior Checklist (CBCL), and Teacher Report Form (TRF). The YSR, CBCL and TRF assess behavior in several domains, including withdrawal, anxiety and depression, social problems, attention problems, delinquency, and aggression. Student’s scores on the YSR were within the “normal” range. Parents’ ratings placed Student’s externalizing behavior in the clinical range, and his aggressive behavior in the borderline range. Parents reported problems with anxiety, depression, and significant problems with over-stimulation and selfregulation. 25. On the TRF, Nelson’s scores in all areas were within the normal range. Nelson reported that Student sometimes thought that others were talking about him and that he was much happier when seated apart from other students. Gillespie’s scores fell within the average range although she reported that Student had difficulty getting along with others, felt he was being teased, and was not liked by his peers. She also reported that Student was sometimes defiant, physically attacked others, had sudden mood changes, threatened people, had explosive and unpredictable behavior, and engaged in fights. Ruse’s ratings ranged from normal to borderline on the internalizing problems scale. She reported that Student had difficulty getting along with peers, felt others were “out to get him” and was teased and disliked by peers. All three teachers’ scores in the adaptive ratings were within normal limits, indicating that Student performed well academically, worked hard at school, and that he was learning and happy. Gillespie and Ruse marked him low in “behaving.” Alford appropriately selected and administered rating scales, and the results were valid. 26. Alford also administered Module Four of the Autism Diagnostic Observation Schedule (ADOS) to Student, with assistance from District school psychologist Jennifer Golden (Golden). Golden, who testified at the hearing, is a credentialed and licensed school psychologist who has worked for District since August 2006. She has attended training on administering the ADOS, a test she has given approximately 15 times for District, and she was at the time the most experienced District staff member in the administration of ADOS. Based on her experience and training in the ADOS, Golden credibly testified that Alford was sufficiently familiar with and qualified to administer the ADOS to Student. Golden assisted during the assessment by handing the variety of test protocols to Alford, keeping data separately from data collected by Alford, and observing Student during his responses. At the conclusion of the assessment, Alford and Golden collaborated on the data they collected, and Alford incorporated the results into her portion of the multi-disciplinary assessment report. 27. Alford chose the ADOS as an appropriate tool for Student, when considered with other assessment tools, to evaluate Student’s eligibility under the category of autisticlike behaviors. During the test administration, Student demonstrated a lack of skill in reciprocal conversation and was dependent on prompts to solicit his conversation, which Alford concluded was a notable area of weakness. Student struggled to initiate social interaction with Alford, and he tended to tease, laugh and recount experiences in which he was annoyed by others as a means to engender a mutual laugh from Alford. He expressed some emotion while relating his personal experiences, although limited to anger and or laughing about being angry or annoyed while relating personal experiences. Student did not have a clear understanding of a variety of emotions and he struggled with understanding the feelings of others. Student fell above the autism cutoff in Module Four, in comparison to his results on Module Three in 2010, in which he did not fall on the autism spectrum. Alford appropriately selected and administered the ADOS in accordance with the manual provided by the assessment’s producers, and the results were valid. 28. Parents completed the Gilliam Autism Rating Scale, Second Edition (GARS2). They reported that Student continued to exhibit “impairments” in his behaviors, communication and social interaction. Parental rating scores placed Student in the range of “very likely possibility of Autism.” Alford relied on the GARS-2 to corroborate her findings on the ADOS and other assessment tools relating to Student’s eligibility as autistic-like behaviors. She appropriately selected and administered the GARS-2 and the results were valid. 29. Parents also completed the Asperger Syndrome Diagnostic Scale (ASDS). Parents reported that Student had poor organizational skills, lacked common sense, was oversensitive to criticism, appeared to be aware that he was different, exhibited a strong reaction to change in his routine, displayed immature behaviors, frequently lost his temper and was overwhelmed in crowds and demanding situations. He used few gestures in social situations, had difficulty relating to others, showed little interest in other children, had difficulty making and keeping friends and understanding the feelings of others, had little interest in what others were saying, and had difficulty understanding social cues. He interpreted conversations literally and acted as though he understood more than he actually did. Student’s scores on the ASDS were in the 14th percentile, placing his probability of having Asperger Syndrome as “possibly.” Although Alford sent teacher-rating scales for the ASDS to Student’s teachers at OLM, they did not return a completed form. Alford appropriately selected and administered the ASDS and the results were valid. 30. The data from the ABAS-II and teacher reports suggested that Student had social skills mostly within an average range. However, in general, Student exhibited significant impairments in his ability to relate to others socially from a functional perspective. His relationships with others had an immature quality and were centered on immature interests. He demonstrated a significant need for growth in the area of navigating the social world when the structure of the classroom and adult support was removed. His educational plan required support and instruction to help him develop coping skills to increase his self-control, which would allow him to develop a concrete system for evaluating social situations and communications in order to determine appropriate responses in given situations. 31. District middle school special education teacher Jones assessed Student in academics. Jones, who testified at the hearing, has a bachelor of arts in elementary education and psychology, a clear credential in mild/moderate and multiple subject, and is certified in cross cultural language and academic development and as a BICM. She has worked for District since 2001 as a resource teacher for students with multiple disabilities. She carried an average annual caseload of 28 mild/moderate disabled students. Her job duties include special education case management, assessments, attending IEPs including transition IEPs, and academic instruction. Jones demonstrated that she was qualified to assess Student and to offer opinions relating to Student’s unique needs in the area of academics. 32. Jones reviewed Student’s eighth grade report card through the second quarter, and a one-page progress report from Gillespie dated March 23, 2011, in preparation for the assessment. Gillespie reported that Student needed improvement in the areas of written language and penmanship. In all other areas, she reported that Student was performing at or above grade level, that his relationship with peers was good, and that he was using coping skills to handle difficult situations in class and in school. 33. Jones administered the Woodcock-Johnson Test of Achievement – III (WJ-III), including 16 subtests, which assessed in the areas of oral language, oral expression, listening comprehension, written expression, basic reading skills, reading comprehension, math calculation, and math reasoning. Student’s overall 2011 standard scores were largely in the high average range, demonstrating skills above grade level. His comprehension of reading materials was in the average range, at grade level ability, although he demonstrated a relative weakness reflected in difficulty making inferences; reading fluency was in the superior range; and math was in the high average range, which was consistent with Student’s 93 percent grade in his math honors classroom. In comparison to the 2010 assessment, Student’s score in basic reading skills was nine points lower in 2011, which Jones concluded was not a significant decline based on Student’s above average grades and did not suggest an area of need requiring special education related services. Jones appropriately selected and administered the WJ-III and the results were valid. 34. Jones administered the Test of Written Language-Third Edition (TOWL-3) Form B. Student’s scores in the overall writing, contrived writing and spontaneous writing subtests were in the 90th to 93rd percentiles, ranking high average. Student scored in the average range on sentence combining and vocabulary, and in the high average to superior range in the remaining subtests. Although Student’s score in spontaneous writing was approximately seventeen points lower than his 2010 score, Jones did not find the change significant based upon Student’s overall above-average academic achievement, and she concluded that writing was not an area of need requiring special education related services. Jones concluded that Student was functioning in the average to superior range in the areas assessed and at or above grade level in math, written language and reading. Jones appropriately selected and administered the TOWL-3 and the results were valid. 35. Forman, who testified at the hearing, assessed Student in the area of OT. She received a bachelor of science in occupational therapy in 1994, and is a certified occupational therapist with additional certification in sensory integration. She has training in administering assessments and working with autistic children with sensory issues. She has worked as a clinical pediatric occupational therapist for 17 years. She worked for District as an occupational therapist from September 2010 through July 2011, during which her duties included assessments, consultations, direct services and participation in IEP meetings. Her caseload was approximately 18 students a week; approximately 75 percent were eligible under the category of autistic-like behaviors. She conducted hundreds of assessments over the course of her career, and approximately 25 assessments during her employment with District. Forman demonstrated that she was qualified to assess Student and to offer opinions relating to his needs in the area of OT and sensory integration. 36. Forman observed Student at OLM on May 24, 2011. Student appeared focused and organized, demonstrating good sensory modulation in the classroom. During recess he engaged purposefully with a group of peers playing basketball, and was tossing a football to a peer. He engaged socially, including initiating conversation, with his peers. She also interviewed Mother and Student’s teachers. Mother did not express any concerns to Forman regarding Student’s self-help skills, fine motor, gross motor or sensory regulation. Ruse, Gillespie, Nelson and PE coach Meyers also reported no concerns in the areas of fine motor, gross motor or sensory regulation. 37. Forman administered the Beery-Buktenica Developmental Test of Visual-Motor Integration, Visual Perception and Motor Coordination (Beery VMI). Student’s scores ranged from above average in visual perception and motor coordination to high in visual motor integration. Forman tested Student’s sensory processing by providing the Sensory Processing Measure (SPM) to Ms. Gillespie. The test was not used as a standardize test because Student’s age fell outside of the age range for the test. However, Ms. Gillespie’s responses provided additional input regarding Student’s sensory processing. She reported that Student frequently became distracted by nearby visual stimuli but always attended to the person speaking or during blackboard instruction. Although Ms. Gillespie also reported that Student never entered into play with his peers without disrupting ongoing activities, Forman found that Gillespie’s observation was inconsistent with her own observations of Student during recess, and was not supported by similar reports from Mother or Student’s other teachers. Forman appropriately selected and administered the assessment and the results were valid. 38. Forman also administered the Adolescent/Adult Sensory Profile (AASP), a judgment-based self-questionnaire for sensory processing. The AASP measures the frequency of behaviors at home or in the community. Student’s scores in low registration, sensation seeking, sensory sensitivity, and sensation avoiding indicated that those were not areas of concern. In the area of hearing, Student reported that he startled at loud or unexpected noises, and that he frequently had trouble following what people were saying when they talked fast or talked about unfamiliar topics. Based upon Forman’s observations, reports from teachers and Mother, and Student’s responses, body awareness, balance and motion, perception of touch, and taste and smell were not areas of concern for Student. Foreman appropriately selected and administered the assessment and the results were valid. 39. Student demonstrated functional neuromuscular skills, fine motor, and gross motor skills to access educational tools and equipment. He had excellent visual motor integration, above average visual perception and above average motor coordination. His handwriting was legible, his sensory modulation and processing were adequate for him to access his educational environment. Forman concluded that Student did not require OT in order to access his educational program. 40. Ferguson, who testified at the hearing, assessed Student in the area of SL. Ferguson received her master of arts in communicative disorders in 1981. She has been a licensed speech pathologist since 1983 and received a certificate of clinical competence in speech and language pathology in 1983. She also holds a clinical rehabilitative services life credential. She has participated in training in the area of speech and language generally and for students with Autism throughout her career. Ferguson has been employed by District as a speech pathologist since 1993. Her job duties include providing speech therapy to children with IEPs, attending IEP meetings, and assessing students. She has conducted over 1000 SL assessments throughout her career. Ferguson met Student in the first grade, when she provided him with SL services and she assessed him in 2005 and 2010. Ferguson demonstrated that she was qualified to assess Student and to offer opinions relating to his unique needs in the area of SL. 41. Ferguson reviewed prior assessments from 2005 and 2010 in preparation for her testing. Based upon Student’s consistent average to high average range performance in receptive and expressive language skills, as well as lack of concern in those areas by his teachers and from observations by other District assessors during 2011, Ferguson appropriately determined that Student did not require testing of semantics, morphology and syntax. Her testing focused on pragmatic language skills, which was a reported area of relative weakness for Student. 42. Ferguson administered the inferences and pragmatic judgment subtests of the Comprehensive Assessment of Spoken Language (CASL) based upon Student’s teachers’ and Parents’ concern regarding Student’s social language. Student scored in the 50th percentile in inferences and the 68th percentile in pragmatic judgment, both of which were in the average range. 43. Ferguson also administered the Social Language Development Test-Adolescent (SLDT-A), a test of social language skills. Student’s score on the Interpreting Social Language subtest was in the mildly delayed range, indicating that Student was unable to consistently identify the intention of the speaker when the meaning was implied through use of euphemisms or hints. Student scored within age-appropriate ranges on all other subtests. 44. Ms. Gillespie completed an informal pragmatic language questionnaire in which she reported that Student sometimes criticized his peers, misunderstood peers’ intentions, said things which peers considered to be hurtful without realizing he had done so, and blurted out and interrupted conversations. 45. Ferguson concluded that Student’s speech articulation, vocal quality and speech fluency were all within age appropriate levels. His oral language skills were within normal limits. Development of pragmatic language skills was within age appropriate limits. Student demonstrated that he understood and used social pragmatic skills and had developed appropriate oral language skills. Ferguson appropriately selected and administered the assessments and the results were valid. Based upon the assessment results, Ferguson concluded that Student did not require SL therapy services from a speech therapist in order to access his educational program. 45. The District assessors collaborated during and upon completion of their assessments, and concluded that Student had unique needs in the area of social interaction and social communication, with deficits in social pragmatic language and an impairment in social interactions. He required continued support and oversight in an educational setting in order to maintain his successes, to support the continuation of appropriate social behavior and to support him in developing self-control. Additionally, Student continued to require support to improve his behavior as well as to support social learning. The assessors recommended eligibility for special education under the category of autistic-like behaviors. They recommended instruction in social skills that included role play, school-based counseling addressing self-regulation skills such as progressive relaxation and diaphragmatic breathing, and close collaboration between the school-based social skills facilitator and school staff to ensure continuity and generalization of skills. 46. Student’s IEP team met on June 14, 2011. Parents, Dr. Kaler, Oak Park High School (OPHS) principal Kevin Buchanan (Buchanan), OPHS general education teacher and assistant principal Jerry Block (Block), OPHS special education teacher Linda Niebergall (Niebergall), OPHS school psychologist Stephanie Walker-Sean (Walker-Sean), Alford, Jones, Forman, Ferguson, District program specialist Derek Ihori, and Roberts attended the meeting. Ms. Ricci and teachers from OLM were invited to but did not attend. 47. All of the District IEP team members testified at the due process hearing. Buchanan has been principal of OPHS since 2009. He received a master of education in 2003, and a tier two administrative services credential in 2006. Block has been assistant principal at OPHS since 2005. He received a bachelor of arts and a single subject teaching credential in Spanish in 2001, and a master of arts in educational leadership in 2004. He taught a general education Spanish language class at OPHS in the 2010-2011 school year. Niebergall has been employed by district as a special education teacher and resource specialist since 1994. She received a bachelor of arts in psychology in 1973, and holds a clear specialist instruction credential in special education, a clear multiple subject teaching credential, a clear resource specialist added authorization, and a life development center permit. Walker-Sean has been employed by District as a licensed school psychologist for five years and is the school psychologist at OPHS. She received a master of arts in psychology, a credential in school psychology, and is a BICM. At the time of the hearing, she was assigned full-time to the OPHS campus as the school counselor and, if Student had attended OPHS, she would have been his school counselor. Ihori is a 2012 candidate for a doctorate in education. He received his master of science in counseling with a specialization in school psychology in 2007. He has worked for District since 2010, and he took the notes at Student’s June 14, 2012 IEP.2 Roberts received a master of arts in school psychology in 1986. She has a pupil personnel services credential authorizing school psychology and a credential in administrative services. She has worked for District since 2010. 2 Ihori testified at the hearing that he observed Student at OLM in the spring of 2011 as part of his responsibility to monitor children who lived within the District but were receiving their education at non-District placements. He did not report his findings to the IEP team because his findings were consistent with the District assessor’s observations. Accordingly, his testimony regarding his observations, which was redundant of other witnesses, is not discussed in detail in this Decision. 48. The IEP team members received a copy of the final 2011 multi-disciplinary assessment report at the beginning of the meeting. The team reviewed and discussed the report in detail, including results of interviews with OLM teachers, Ms. Ricci, Dr. Morrison and Student’s physician. The IEP team discussed Student’s areas of strengths and weaknesses. Dr. Kaler asked questions and the IEP team responded. The IEP team also invited Dr. Kaler to provide input regarding Student. She shared her observations regarding Student’s positive interactions with his peers, and his reduced current levels of anxiety compared to those in 2010. The IEP team agreed that Student’s eligibility should change from other health impaired to autistic-like behaviors. 49. Parents provided their input to the IEP team during the meeting, including by presenting a two-page document expressing their issues and concerns. Student’s father (Father) reviewed Student’s educational history for the new IEP team members, advised the IEP team that Student continued to receive social skills support through Dr. Morrison, and that he was seeing a psychiatrist who was controlling Student’s medications. Parents reported that Student had been successful at OLM, that they were opposed to returning Student to a public school placement, and that they had enrolled Student at Chaminade for summer school and the 2011-2012 school year. 50. The IEP team discussed Student’s health status summary and his present levels of performance based upon assessment results. Because Parents did not consent to Student’s May 2010 IEP, the IEP team was unable to review his progress toward prior goals. The IEP team discussed Student’s unique needs as outlined in the 2011 multi-disciplinary assessment report and developed four annual goals, discussed in detail below, for the 2012-2013 school year. Parents and Dr. Kaler participated in the discussion regarding goals and did not suggest any additional areas of need or request additional goals for the IEP. 51. Goal number one included a two-month objective and addressed social pragmatics. Within one year, in authentic or contrived situations, Student would accurately interpret the intentions of peers through their body language, facial expressions, eye contact, tone of voice, social context or prior relationships. The IEP team contemplated that IEP team members, including the assigned counselor in consultation with Dr. Morrison, would implement the goal during individual counseling and study skills class. The school counselor, in collaboration with other IEP team members, would monitor Student’s interactions with his peers in actual settings. The goal was measurable through data collection and observations by the IEP team, including Student’s District IEP team members and other school staff. The goal was appropriate to address Student’s unique needs in social pragmatics, including reciprocal conversation. 52. Goal number two included a two-month objective and addressed Student’s social emotional needs. Within one year, Student would learn techniques to respond in actual or contrived situations with age-appropriate responses to peers in situations where he perceived that teasing, joking or social bantering was mean spirited. The IEP team contemplated that IEP team members, including the school counselor and his case manager, would implement the goal. The goal was measurable through data collection and observation records by the IEP team, including the school psychologist, teachers and school staff and was appropriate to address Student’s unique needs in social pragmatics, including reciprocal conversation. 53. Goal number three addressed Student’s study skills, and was the result of Parents’ concerns that Student had difficulty at home following through with studying for tests and long-term projects. Within one year, Student would record his assignments in a planner or access assignments online with minimal prompting, would follow through on studying for upcoming tests and long-term projects with interim due dates in a Student planner at least 90 percent of the time across a two-week period. The IEP team contemplated that the school counselor and case manager/study skills teacher would implement this goal during counseling and in study skills class. The goal was measurable through a review of Student’s planner, data collection by Student’s IEP team members, and reports from Parents. Goal three was appropriate to address Student’s unique study skills needs. 54. Goal number four included a two-month objective and addressed Student’s social emotional needs in connection with his inappropriate verbal comments or behavior in response to teasing or joking by peers. Within one year, Student would utilize an agreedupon self-management strategy in actual or contrived situations when experiencing frustration with a peer in three out of four opportunities. The IEP team, including the school counselor in collaboration with Student’s case manager, was responsible for implementing this goal. The goal was measurable through data collection by individuals designated by the counselor and through IEP team observations and it was appropriate to address Student’s needs in social pragmatics, including reciprocal conversation. 55. The IEP team developed a Positive Behavior Support Plan (PBSP) to address Student’s inappropriate social behaviors, as discussed above. Parents had an opportunity to comment on and make changes to the PBSP. The PBSP identified antecedent behaviors likely to trigger Student’s behaviors and interventions designed to prevent or change the antecedents, teach replacement behaviors, reinforce new skills, and select better consequences. The IEP team, including Student’s counselor and case manager, was responsible for implementing the PBSP and monitoring Student’s progress in conjunction with Student’s IEP goals. 56. The IEP team considered whether Student required any accommodations for academic instruction. It recommended the availability of a quiet room for exams, noise reduction strategies, preferential seating, a “pass” to access his case manager when he felt the need to control a social issue, graphic organizers, and assistance breaking down assignments into manageable chunks for long-term projects. 57. Regarding placement, Roberts explained the concept of LRE and the continuum of placement options ranging from a residential non-public school to a District high school. The IEP team discussed and agreed that Student did not require a special day class or other special education setting to obtain an educational benefit. The IEP team recommended that Student continue in the general education setting with full inclusion, supplemented by special education supports and services, as discussed below. Buchanan discussed the OPHS program. OPHS enrollment for 2010-11 was 1282 students, with an average class size ranging from 25 to 32 students. Buchanan compared the demographics of OPHS to similar statistics for Parents’ preferred placement, Chaminade, explaining that Chaminade’s student population, class size and level of academic achievement were similar to OPHS. The overall graduation rate at OPHS for the 2009-2010 school year was 100 percent. Students populated OPHS from three District middle schools and from neighboring districts. Approximately 10 percent of the Students had IEPs. All of the students were on a college preparatory track, some took advanced placement classes, and all had the option of choosing a seventh period for extra academic support, where all teachers were available after school for 45 minutes or individual and group academic assistance. Based upon the testimony of Walker-Sean, Buchanan, Block, and Niebergall, all of the teachers and staff at OPHS were trained and qualified to instruct Student on his curriculum and to implement his goals. The curriculum, which was a 100 percent full inclusion model, was based upon a block schedule, rotating three periods every other day over a two-week period. 58. The IEP team addressed Parents’ concerns regarding returning Student to a District school given his past experience at Brookside with bullying and associated stigma, and OPHS’s disciplinary procedures. OPHS has disciplinary procedures and a risk assessment process in place to address behaviors constituting potential threats. Additionally, OPHS has a variety of preventive supports and programs to minimize the negative impact of students’ inappropriate behaviors, including approximately 120-140 trained peer counselors and 60-80 trained safe school ambassadors. Every ninth grade student is assigned a designated peer mentor who helps transition the new student into the high school environment. The school also has an adult campus supervision program in which adult staff members are stationed throughout the campus during the school day to enforce the school’s code of conduct, and to ensure that the school’s “no-bullying” policy is followed. In addition, trained peer counselors monitor social networking sites after school and report potential bullying to the administration for investigation and follow up. 59. The District IEP team members informed Parents that, although District might consider placing Student at a high school in a neighboring district, OPHS, with its special education supports, services, and the peer support programs as discussed above, was an appropriate placement for Student. The IEP team members asked Parents if they had any other public schools that they wanted District to consider as a placement option. Parents deferred to District and did not offer any alternatives. They expressed concern that Student would be unable to meet his goals and make progress at a District school, based upon District’s “track record of failure” in connection with Student’s education at Brookside. Parents felt that District had tried and failed to provide Student with a FAPE while he had been at Brookside, that Student failed to meet any of his goals when he was placed by District at Pacific Cove, and that District had refused Parents’ request to return Student to Brookside. Parents felt that District was not equipped to provide FAPE for Student on a District campus, that Student had met all of his goals at OLM, and that Student should remain in a similar setting for high school based upon his successes socially and academically at OLM. Parents requested that District maintain the status quo by funding Student’s private placement at Chaminade, as it had done for OLM in past years. The IEP team declined to offer Chaminade as a placement for the 2011-2012 school year. 60. District’s offer of placement and services consisted of placement at OPHS in a general education full inclusion setting for 86 percent of the school day; the four annual goals discussed above; specialized instruction in a directed studies class for a total of 1000 monthly minutes; individual counseling 90 minutes per month in 30-minute sessions during the first two months of the school year, followed by 30 minutes per month of consultation and collaboration between the school psychologist and Student’s teachers; 60 minutes of collaboration between the school psychologist and Dr. Morrison at the beginning of the school year to clarify concepts and vocabulary that have been introduced to Student in his private social skills group; an additional consultation mid-year with Dr. Morrison if Parents chose to continue private services; specialized academic instruction in a social skills group administered by the school psychologist 135 minutes per month in 45-minute sessions for the remainder of the school year; and a PBSP. In addition, to assist in the transition back to District and into high school, District offered Student the opportunity to attend a summer program operated at OPHS by an independent provider, to meet his case manager and assigned counselor and to tour the campus during the week prior to the start of school. 61. Parents, who asked for additional time to review the multi-disciplinary assessment report and the IEP, declined to sign the IEP at the meeting for any purpose other than to acknowledge their attendance at the meeting. They did not contact District to ask for modifications to the proposed IEP or sign the IEP consenting to any portion of the IEP at any time thereafter. 62. In Dr. Morrison’s opinion, District’s June 14, 2011 IEP offer of 135 minutes per month of social skills class beginning two months after the start of the 2012-2013 school year was helpful but not sufficient. Student required social skills classes two hours a week from the start of high school to help him transition into a new school and from middle school. District’s offer of individual counseling for only the first sixty days of the school year, followed by collaboration the rest of the year with Student’s teachers, was insufficient. Student required one hour a week of individual counseling for the entire school year, beginning one week before the start of school. Morrison based his opinions on his knowledge of Student’s deficits, and on Student’s diagnosis of autism, noting that autistic children have difficulties with transitions. He opined that Student’s anticipated difficulties at OPHS would also be enhanced by his history of bullying and bad memories dating back to his time at Brookside. In Dr. Morrison’s opinion, Student required considerably more support to help him develop self-control, skills in anger management, stress management and coping with peer interactions during his transition. 63. Walker-Sean disagreed with Dr. Morrison’s opinion regarding counseling and social skills class. In her opinion, District’s offer of counseling services was designed to front-load Student’s instruction in social skills through individual counseling in the first two months of the school year, during which his counselor would collaborate with Dr. Morrison, have the opportunity to learn more about Student and his needs, and select a group of peers with IEPs that were compatible and had similar social needs for a social skills group. Although OPHS did not then currently have a social skills group in place, Walker-Sean did not consider that lack as an impediment to establishing an appropriate social skills group for Student’s needs if such a service was called for in Student’s IEP. Walker-Sean and Niebergall credibly testified that Student would have additional opportunities to practice his social skills in his directed studies and other classrooms and in other campus activities, including by joining groups and clubs in his areas of interest, engaging with his assigned peer mentor, and during unstructured time on the campus. In Walker-Sean’s opinion, after the first two months of school, Student’s school counselor would be an active member of Student’s IEP team, would collaborate with his case manager, teachers and other IEP team members regarding his social emotional needs, and would monitor his PBSP and social behaviors, particularly in the areas of social pragmatics and reciprocal communication. Niebergall concurred with Walker-Sean, testifying that Student would also have opportunities in his directed studies class to practice his coping skills, and his case manager would collaborate regularly with his counselor as to Student’s progress toward his social skills goals. 64. Dr. Morrison also opined that annual goals one, two and four were vague as to the meaning of “actual or contrived situations.” Goal number two did not sufficiently address his needs in the area of interpreting the intention of others, conversation skills, personal boundaries, anger management strategies, and ability to cope. Goal number four should have included additional coping strategies, and should have been more specific on how it would be measured and who would measure it. In his opinion, none of the goals addressed Student’s hyperactivity, lack of self-control, or his manifestation of anxiety when he was unable to follow instructions on how to engage in particular activities. The IEP team omitted Student’s 2010 IEP proposed language goal relating to conversation, which, in Dr. Morrison’s opinion, was necessary because of Student’s deficits in reciprocal conversation. 65. Dr. Kaler, who testified at the hearing, has a bachelor of science and master of science in nursing. She received her Ph.D. in developmental psychology in 1990, and completed a post-doctoral fellowship in developmental psychopathology in 1992. She is in private practice as a psychologist, in which she provides psychological assessments, individual and individual family therapy. Her work experience includes consultation with school districts in the areas of autism, developmental and learning disabilities. She was a consultant for District from 2005 until prior to 2010. Dr. Kaler assessed Student in 2005, 2010 and 2011. In preparation for her testimony at hearing and for her own 2011 assessment, she reviewed Student’s records, including assessments prior to June 14, 2011. Dr. Kaler’s assessment results, which were completed on June 18, 2011, were not shared with District until Student’s counsel provided the report to District’s counsel in November 2011 in preparation for the hearing. Her report dated June 19, 2011 included a summary of prior assessments and her review of records available to District existing prior to the June 14, 2011 IEP, which her testimony corroborated.3 Dr. Kaler demonstrated that she was qualified to offer opinions relating to Student’s social/emotional needs. 3 Student first provided Dr. Kaler’s report to District in November 2011 in preparation for the due process hearing. The report was admitted into evidence and considered by the ALJ. However, Dr. Kaler’s assessment results and conclusions were given little weight under Adams v. State of Oregon (9th Cir. 1999) 195 F.3d 1141, 1149, because the results of the report were not provided to District until after the IEP meeting and shortly before the due process hearing. To the extent Dr. Kaler offered general criticisms of the District’s offer, they were considered by the ALJ. 66. In Dr. Kaler’s opinion, Student made notable progress in the small environment at OLM particularly during the 2010 school year. Moving to a larger public high school, such as OPHS, was not appropriate for Student because Student’s history demonstrated that he became over-stimulated in the larger public setting, and because he was anxious about his upcoming transition from OLM. Student was worried that his reputation for aggressive behavior from Brookside would negatively impact his social relationships at OPHS. Because his 2011 assessment results showed that he continued to have similar social/emotional deficits to his years at Brookside, Dr. Kaler opined that moving Student back to a large public high school would “set him up” for failure. 67. Dr. Kaler also opined that District’s offer of individual counseling for only the first two months of the school year was not appropriate for Student. In her opinion, Student required ongoing counseling, one or more times weekly through the end of the school year, in order to establish an ongoing relationship with his counselor. Dr. Kaler opined that Student also required social skills group twice a week, including a lunch/recess group one hour per week, because Student’s intellectual skills were not enough for him to function socially in the “the real world.” In her opinion, none of the four annual goals offered in the IEP sufficiently addressed Student’s deficits in reciprocal communication. Student required more support in actual situations because he knew what skills to use in contrived situations. Goal number two did not appear to be measurable, was vague as to what characteristics would be measured and what specific “age appropriate” behaviors would be measured. Goal number three was not measurable in the school setting to the extent it was measuring Student’s home study habits. In her opinion, Student required an adult aide trained in the characteristics of autism, particularly in unstructured settings. Goal number four appeared to be more difficult to measure because District did not offer a full time dedicated aide to collect data. None of the four goals addressed Student’s teasing behaviors, or his reactive behaviors to uncomfortable situations. Dr. Kaler also believed Student required a counseling goal that addressed Student’s need to control frustration and anxiety, and to learn to engage in conflict resolution. As discussed above and below, Walker-Sean, Niebergall, and Ferguson disagreed with Dr. Kaler’s opinions and credibly testified that, based upon their knowledge of OPHS and the programs and supports available to Student, District’s offer of goals was appropriate, and the supports and services offered by District could be implemented at OPHS to meet Student’s identified needs. 68. Karen Schnee (Schnee), a licensed speech pathologist, also testified at the hearing. Schnee received a bachelor of arts in child development in 1977, and a master of arts in learning disorders in 1980 and in communicative disorders in 1985. She has a certificate of clinical competence from the American Speech and Hearing Associates, is a board certified educational therapist, has a credential in clinical rehabilitative services including in language, speech and hearing services, a credential in multiple subjects and in learning disabilities, and a clear credential in itinerate speech therapy. She has been in private practice since 2001. Her prior work experience included teaching special education to kindergarten through second grade, including children with Autism. Schnee first met and assessed Student in November 2011 at Parents’ request.4 Her assessment included a review of Student’s records, including District’s 2011 multi-disciplinary assessments and Student’s June 14, 2011 IEP. She never observed Student in the educational setting at OLM, and did not interview any of Student’s teachers at OLM, Principal Ms. Ricci, Dr. Morrison, Dr. Kaler or Dr. Naqvi. 69. In Schnee’s opinion, District’s 2011 SL assessment was not sufficiently comprehensive. Schnee disagreed with Ferguson’s decision to administer only two subtests of the CASL, basing her opinion on discrepancies between Student’s expressive and receptive language scores in his 2010 assessments as compared to higher scores in his 2005 assessments. In Schnee’s opinion, the drop in Student’s score on the non-literal language subtest of the CASL in 2005 from 121 to his score of 103 on the same subtest in 2010 was extremely significant. The differential indicated that Student was having difficulty with intuition and inferential reasoning. Similarly, Student’s score on the supra-linguistic composite subtest in 2005 was 116 and his score in 2010 was 101, which indicated that Student was having difficulty understanding social language and being able to understand a higher level of language. In Schnee’s opinion, Student’s scores suggested that he was unable to understand higher-level abstract language, which is essential for interpreting social nuances and interacting with his peers in high school. Schnee opined that Ferguson should have administered the complete CASL, including the above-referenced subtests. 4 Schnee’s November 2011 assessment results were not shared with District until Student’s counsel provided her report to District’s counsel in November 2011 in preparation for the hearing. Schnee’s report, which included a summary of her review of Student’s records prior to the June 14, 2011 IEP, was admitted into evidence. Student argued in his closing brief that, under E.M. v Pajaro Valley Unified School District, et al. (9th Cir. 2011) 652 F3d 999, 1006, Schnee’s assessment results were relevant to show that District failed to properly assess Student and as a result failed to address an area of need. E.M. is not applicable here. In E.M., the Ninth Circuit Court of Appeals was faced with the issue of whether the district court, under 20 U.S.C. 1415(i)(2)(C)(ii), incorrectly rejected as “additional evidence” an evaluation report that did not exist until three years after the administrative hearing. The court held that the district court erred by not considering whether the report was otherwise admissible and relevant to the determination of whether the district met its obligations to the student under the IDEA several years earlier. (E.M., supra, 652 F.3d at p. 1006.) The holding in E.M. does not abrogate the general principle articulated in Adams, supra, 195 F.3d at p.1149, that the actions of school districts cannot be judged exclusively in hindsight. Additionally, the E.M. facts are entirely distinguishable from this case. Schnee’s report existed at the time of the hearing; it was admitted into evidence; and Schnee testified at the hearing and offered opinions, which were given due weight by the hearing ALJ. The ALJ also considered her report to the extent that it related to Schnee’s review of records and assessments available to the June 14, 2011 IEP team. However, Schnee’s assessment results and conclusions were given little weight under Adams because they were never presented to the District prior to or at the time of the IEP meeting. 70. In Schnee’s opinion, Student’s June 14, 2011 IEP, should have included one hour a week of speech therapy by a speech therapist, in collaboration with Student’s teachers, because speech therapists are specifically trained to deal with weaknesses in non-literal language and inferential reasoning. On the other hand, Ferguson, Walker-Sean, and Niebergall disagreed with Schnee. In Ferguson’s opinion, which was based on her years of experience as a SL therapist in the educational setting and on Student’s 2011 assessment results, Student did not require speech therapy from a SL therapist; instead, he required appropriate instruction from qualified District staff on the skills needed to engage in appropriate conversations and interactions with his peers. Walker-Sean and Niebergall agreed that Student’s relative weakness in reciprocal conversation and inferential reasoning could be appropriately addressed by the school counselor, case manager and teachers with other forms of special education supports and services available at OPHS, including counseling and social skills class in conjunction with his annual goals and during classroom and unstructured activity time. 71. In Schnee’s opinion, Student required two hours of social skills weekly to address Student’s social pragmatic weaknesses. Schnee disagreed with Ferguson that Student could be taught language skills addressing his unique needs without the direct intervention of a speech therapist. In her opinion, Student also needed specific speech goals to address his relative weakness in social language. She opined that, although Student’s June 14, 2011 IEP goals attempted to address Student’s needs in social pragmatics and reciprocal conversation, they did not go far enough. In her opinion, goal number one should have been more generalized to include teaching Student skills in identifying intentions and behaviors beyond malicious intent. Goal number two should have addressed skills identifying all social cues instead of limiting the goal to “mean spirited” behaviors. Walker-Sean and Niebergall opined that the goals were designed by the IEP team to address social pragmatics and reciprocal conversation through counseling, and practical application in social skills class, directed studies class, in the classroom and during unstructured time. 72. Schnee agreed with the findings in District’s 2011 assessment report that Student had a weakness in the area of reading comprehension. However, she disagreed that it was a “relative” weakness and believed that Student needed additional specific goals to assist him in inferential reasoning associated with reading comprehension. Her opinions in this regard were based upon her review of prior assessments and her own November 2011 assessment. 1. District contends that it procedurally and substantively complied with the IDEA and that the June 14, 2011 IEP constituted an offer of FAPE in the LRE. District seeks an order that it may implement the IEP, as amended, without parental consent if Parents choose to enroll Student in the District. 2. Student contends that District failed to meet its burden of persuasion by failing to fully assess Student’s language needs; failing to include Student’s general education teacher at the IEP meeting; failing to invite Dr. Morrison to the June 14, 2011 IEP meeting; and predetermining its placement offer. He also contends that District’s offer of placement was not appropriate for Student because OPHS class sizes were too large for Student to successfully access his education. He also contends that District’s offer of counseling services was not sufficient to address Student’s social emotional needs; that the offer of a social skills class was inappropriate because it started two months after the start of school; that the social skills class offer was illusory because OPHS had no social skills classes in place at the time of the offer; that District failed to offer Student one-to-one behavioral aide services during unstructured times; and that District failed to offer appropriate and measurable annual goals in all areas of need, including social interactions and counseling. 9. An IEP must include a statement of the special education and related services, based on peer-reviewed research to the extent practicable that will be provided to the student. (20 U.S.C. § 1414(d)(1)(A)(i)(IV); 34 C.F.R. § 300.320(a)(4)(2006)5; Ed. Code, § 56345, subd. (a)(4).) The IEP must include a projected start date for services and modifications and, the anticipated frequency, location and duration of services and modifications. (20 U.S.C. § 1414(d)(1)(A)(i)(VII); 34 C.F.R. § 300.320(a)(7); Ed. Code, § 56345, subd. (a)(7).) Only the information set forth in title 20 United States Code section 1414(d)(1)(A)(i) must be included in the IEP and the required information need only be set forth once. (20 U.S.C. § 1414(d)(1)(A)(ii); 34 C.F.R. § 300.320(d); Ed. Code, § 56345, subds. (h) & (i). 5 All further references to the Code of Federal Regulations are to the 2006 edition. 14. In determining the educational placement of a child with a disability a school district must ensure that: 1) the placement decision is made by a group of persons, including the parents, and other persons knowledgeable about the child, the meaning of the evaluation data, and the placement options, and takes into account the requirement that children be educated in the LRE; 2) placement is determined annually, is based on the child’s IEP and is as close as possible to the child’s home; 3) unless the IEP specifies otherwise, the child attends the school that he or she would if non-disabled; 4) in selecting the LRE, consideration is given to any potential harmful effect on the child or on the quality of services that he or she needs; and 5) a child with a disability is not removed from education in age-appropriate regular classrooms solely because of needed modifications in the general education curriculum. (34 C.F.R. § 300.116). 15. To determine whether a special education student could be satisfactorily educated in a regular education environment, the Ninth Circuit Court of Appeals has balanced the following factors: 1) “the educational benefits of placement full-time in a regular class”; 2) “the non-academic benefits of such placement”; 3) the effect [the student] had on the teacher and children in the regular class”; and 4) “the costs of mainstreaming [the student].” (Sacramento City Unified School Dist. v. Rachel H. (9th Cir. 1994) 14 F.3d 1398, 1404 (Rachel H.) [adopting factors identified in Daniel R.R. v. State Board of Ed. (5th Cir. 1989) 874 F.2d 1036, 1048-1050]. 19. As discussed below, the preponderance of the evidence established that District’s June 14, 2011 IEP offer of placement, supports and related services was a FAPE in the LRE. 20. First, District met its burden of establishing that it procedurally complied with IDEA. The evidence established through the credible testimony of Alford, Ferguson, Jones and Forman that, prior to the June 14, 2011 IEP, District appropriately assessed Student in all suspected areas of need, including OT, SL, academics, social emotional and behavior. The assessors used a variety of assessment tools and strategies to gather relevant functional, developmental, and academic information, including information provided by Parents, and did not use any single measure or assessment as the sole criterion for determining whether Student was a child with a disability. Alford’s assessments included the WISC-IV, ARS, TAPS-III, ABAS-II, ADOS, YSR, CBCL, TRF and GARS-2. Jones’ assessments included the WJ-III and TOWL-3. Ferguson’s assessments included two subtests of the CASL and the SLDT-A. Foreman administered the Beery VMI and the AASP. Alford compared the ADOS and GARS-2 to corroborate her findings that Student demonstrated autistic-like behaviors. All of the assessors compared their test results to observations by the assessors, Parents and Student’s OLM teachers and reports from Dr. Morrison and Dr. Kaler. The evidence established that Alford, Jones, Ferguson and Foreman had knowledge, training and experience in the areas they assessed and with the assessment tools they used. Alford has performed approximately 900 psychoeducational assessments and has worked as a school psychologist since 1997. Jones has worked with the District since 2001, has administered academic assessments since that time, and has carried an average annual caseload of 28 special education students. Ferguson has been a licensed speech pathologist since 1983 and has conducted over 1000 SL assessments through her career. Foreman has been a certified occupational therapist for 17 years, and has conducted hundreds of OT assessments during her career. The District’s assessors used technically sound instruments, as described above, designed to assess the relative contribution of cognitive and behavioral factors, in addition to physical or developmental factors. They selected and administered the assessments so as not to be discriminatory on a racial or cultural basis; they administered the tests in Student’s native language of English, and in a form most likely to yield accurate information on what Student knew and could do academically, developmentally, and functionally. They used the assessments for purposes for which the assessments were valid and reliable and administered them in accordance with any instructions provided by the producer of such assessments. For example, the evidence established that Alford and Golden administered the ADOS in accordance with the manual provided by the producer. 21. Student argues, in reliance on Schnee’s testimony, that Ferguson’s SL assessment was not sufficiently comprehensive to assess all of Student’s language deficits. However, for several reasons Schnee’s opinions were not as persuasive as Ferguson’s. First, Ferguson knew Student for several years because she provided SL services to Student when he was at Brookside and she assessed Student in 2005 and 2010. She collaborated in 2011 with Alford and Jones regarding Student’s suspected needs during the assessment process, and she considered information from Student’s teachers at OLM and Parents as part of her assessment. None of Student’s teachers reported that Student had problems with language except in the areas of interpreting the intentions of others and responding appropriately, and Student did not receive speech therapy services while he was at OLM. Based upon her review of Student’s 2010 SL assessment scores, Ferguson appropriately determined that the tests she administered in 2011 were designed to gather information about Student’s identified areas of weakness in social pragmatics and reciprocal conversation. The 2011 multidisciplinary assessments confirmed that, while Student excelled academically, and functioned in average ranges socially, Student continued to have weaknesses in the areas Ferguson tested, and Schnee concurred with those findings. On the other hand, Schnee did not meet or assess Student until six months after Ferguson’s assessment and almost three months after Student transitioned to high school at Chaminade. Schnee’s opinions were based upon a review of Student’s records and prior assessments, and on her own November 2011 assessment results, which were never provided to the IEP team. She never interviewed any of the District staff that assessed Student in 2011, his teachers at OLM, or Dr. Morrison, raising credibility issues relating to her opinions of Student’s needs at the time of the June 14, 2011 IEP meeting. Finally, Student offered no credible evidence that District’s SL assessment was flawed or that, at the time District assessed Student, he had any additional areas of suspected need in language that required further testing. 22. District also met its burden of establishing that it complied with 20 U.S.C. section 1415(d)(1)(B)(3) by ensuring that all of the required District staff members were present at the IEP meeting. Student argues that District failed to meet its burden of proof that it procedurally complied with the IDEA because District failed to “include at least one general education teacher who had taught [Student] previously, or who would be teaching [Student] at OPHS.” Student further argues, relying on M.L v. Federal Way School District (9th Cir. 2004) 394 F.3d 634, that, as a result, District failed to afford Parents the opportunity to meaningfully participate in the IEP process. Student’s argument was not persuasive. In M.L., none of the student’s past, current or future regular education teachers were included in the IEP meeting. (Id. at p. 640.) The court held that the IDEA requires that the IEP team must include “at least one general education teacher.” (Id. at pp. 643-644.) The court noted that, although it would have been “most useful” to have input at the meeting from a teacher familiar with the student, “any regular education teacher would have contributed his or her knowledge of the ability of a disabled student to benefit from being placed in a regular education classroom.” (Id. at p. 649.) Here, the evidence established that District invited Student’s general education teachers to the IEP meeting, but they did not attend. Nevertheless, OPHS general education teacher and assistant principal Block attended and participated in the IEP team meeting. The evidence also established that Block was qualified to and he did contribute his knowledge as a general education teacher of the academic opportunities available to Student at OPHS and the qualifications of the teaching staff to address Student’s needs. The evidence also established that Parents attended the meeting with Dr. Kaler, and all three fully participated in all aspects of the meeting, including asking questions, providing input, expressing disagreement and concerns, requesting an additional goal in study skills, and suggesting changes to various components of the IEP. Additionally, Student’s argument that District should have also invited Dr. Morrison to attend the IEP because of his knowledge about Student was not persuasive. The assessment team interviewed Dr. Morrison as part of the assessment process, and included his input in the multi-disciplinary report. The IEP team reviewed and discussed Dr. Morrison’s recorded observations in detail. As discussed above, District met its burden of proof that all of the required persons were present at the meeting. 23. District also met its burden of persuasion that the IEP team discussed Student’s PLOPs in conjunction with the assessment reports, and that the IEP contained a statement of measurable annual goals related to Student’s unique needs in social pragmatics, including reciprocal conversation, and study skills. Specifically, the June 14, 2012 IEP annual goals addressed Student’s needs and were reasonably calculated to confer some educational benefit upon Student. The goals were drafted to enable Student to “be involved in and progress in the general curriculum” and the IEP stated how the goals would be implemented and measured. (Ed. Code, § 56345, subds. (a)(2) & (3).) Alford, Ferguson, Niebergall and Walker-Sean all credibly testified that goals one, two and four addressed Student’s weaknesses in reciprocal conversation and pragmatic language, including his need to learn skills that would enable him to more accurately interpret the feelings of others during conversation, respond appropriately in reciprocal conversation, and to engage in coping skills when he became frustrated or angry. Goal number three, which was drafted at Parents’ request, addressed Student’s need for follow-through in his study habits, particularly with homework. The evidence also established through the credible testimony of Walker-Sean, Alford, Niebergall and Ferguson that each of the four IEP goals could be implemented and data measured by members of the IEP team and other District staff, during counseling, in the classroom and during recess and lunch time. Student contends through the testimony of Schnee, Dr. Kaler and Dr. Morrison that the IEP goals were too narrow in scope, ambiguous as to how District would implement and measure each goal, and, in Schnee’s opinion, they failed to address Student’s relative weakness in inferential reasoning related to reading comprehension. However, when Student’s expert witness testimony is weighed against the testimony of Alford, Ferguson, Walker-Sean and Niebergall, District’s witnesses were more credible. None of Student’s expert witnesses offered credible testimony that supported a finding that any one or all of the four IEP goals failed to appropriately address Student’s identified needs. Instead, Dr. Kaler, Dr. Morrison and Schnee all testified that the goals partially addressed Student’s needs, although each felt that the goals should have been more comprehensive. The four goals, as discussed above, were reasonably calculated to confer some educational benefit on Student, which is all that Rowley, supra, 458 U.S. at pp. 200, 203-204 requires. 24. The evidence established that the IEP team procedurally complied with the IDEA by discussing placement options, including Parents’ preferred placement at Chaminade and a full inclusion general education classroom in a public high school. The IEP team considered Student’s behavioral history, his current social skills deficits in the context of transition to high school, and past bullying incidents that might impact a placement decision. The IEP team also considered and addressed Parents’ concerns in connection with the support programs available at OPHS, including the peer mentoring and peer counseling programs, as compared to supports offered at Chaminade. During the meeting District asked Parents if they had any other public school settings that they wanted District to consider as an alternative to OPHS, and Parents declined offering any public school alternatives. Despite his contentions to the contrary, Student failed to offer any credible evidence to support his argument that District pre-determined its placement offer. 25. Finally, District’s June 14, 2011 offer of placement, goals, accommodations, supports and services was intended to start upon Parents’ consent and to continue through the end of the 2011-12 extended school year. District’s offer was appropriately recorded in the June 14, 2011 IEP and provided to Parents for their consent. 27. Here, the overwhelming weight of the evidence established that general education was appropriate and that District’s placement offer was in the LRE. Under the first Rachel H factor, the evidence showed that Student had been successfully educated in general education classrooms from the time he started kindergarten. He excelled academically in general education, despite him not receiving any special education services at OLM, demonstrating he was capable of receiving academic benefit in a general education setting. Regarding the second Rachel H factor, the evidence established that in middle school, Student had developed friendships and engaged socially with his peers, despite his occasional inappropriate behavior associated with frustration and misinterpretation of the intentions of his peers. The evidence also showed, through the credible testimony of Walker-Sean and Niebergall, that Student would have opportunities at OPHS to practice his social skills by joining groups and clubs that were within his interests, engaging with a peer mentor, participating in social skills class, in his general education classes, and during unstructured time on the campus. As to the third Rachel H factor, neither party offered any evidence that Student’s presence in the general education setting had any significant negative effect on his teachers or classmates. Although Student had episodes in the past when engaging with his general education peers, District did not believe that those past behaviors would be a concern for Student or his general education teachers and peers if he attended OPHS. Buchanan, Walker-Sean and Niebergall offered credible testimony that, in addition to the supports in his IEP, OPHS had numerous programs in place that would support Student in the general education setting and address any potential behavior concerns if they arose. Finally, as to the fourth Rachel H factor, neither party offered any evidence that cost was a factor in educating Student in the general education setting. 28. The evidence established through Roberts’ credible testimony that, while District had the option to place Student in an out-of-district high school if appropriate, OPHS had the necessary resources to offer the required curriculum and recommended services and supports to Student, thus making an out-of-district general education placement unnecessary. Additionally, all students at OPHS followed a college preparatory curriculum, and some students were in advanced placement classes, all of which was appropriate for Student given his superior cognitive abilities and his academic excellence. The class sizes ranged from 25 to 32 students, on a campus of approximately 1300 students. The evidence established through the credible testimony of Walker-Sean, Niebergall, Buchanan, Roberts and Block that the OPHS teachers and staff were trained and qualified to instruct Student on his curriculum and to implement his goals. In addition to the supports offered in his IEP, OPHS had numerous supervised programs available to all students on campus that would address Student’s social emotional needs, including trained peer mentors, trained peer counselors, safe school ambassadors, adult staff supervision on campus and an anti-bullying policy. 29. Student contends that he would likely not succeed at OPHS because of his anxiety over returning to a district school, because public school had a larger campus, larger class sizes than he was accustomed to at OLM, and because stigma from elementary school bullying incidents would follow him to OPHS. However, Student offered no credible evidence to support his contentions, which were speculative and based upon experiences that occurred more than four years prior. On the other hand, the evidence established that OPHS campus and class size were appropriate for Student’s identified needs, and similar to Parents’ campus of choice, Chaminade. Specifically, the evidence showed that Student had matured during middle school, made friends, was under a doctor’s care for his anxiety which was periodically controlled by medications, and had acquired social skills under Dr. Morrison’s guidance enabling him to play sports and on most occasions engage appropriately with his peers. Finally, as discussed above, the evidence established that OPHS offered Student numerous supports that were available to all students on campus to help him feel safe at OPHS and for him to comfortably transition and flourish in that placement. 30. Student also contends that he was successful in the private faith-based environment at OLM, that some of his friends from OLM were transitioning to Chaminade, and that changing his educational environment to a public high school would “set him up for failure.” However, Student offered no credible evidence that supported a finding that he could not succeed at OPHS, that he faced any actual risk of harm, emotionally or physically, from other students at OPHS who had previously attended Brookside with him, or that the placement was otherwise inappropriate. 31. The evidence also established that the related services and accommodations offered in the IEP were appropriate. Based upon the evidence, District met its burden of establishing that the June 14, 2011 IEP appropriately offered counseling services 90 minutes per month in 30-minute sessions during the first two months of the school year, followed by 30 minutes per month of consultation/collaboration between the school psychologist and Student’s teachers; a social skills group consisting of Student and other students with similar needs with IEPs as selected by the school counselor for 135 minutes per month, beginning after the first sixty days of school; collaboration between the counselor and other IEP team members, and with Dr. Morrison, through the school year; and classroom supports and accommodations to address Student’s needs in the area of focus and attention. Walker-Sean credibly explained that the IEP contemplated that she would consult with Dr. Morrison at the beginning of the school year to learn what vocabulary and techniques Student was learning in Dr. Morrison’s social skills group. She would teach Student additional coping skills during the first two months of school in individual counseling sessions. Those skills would then be integrated into his directed studies and general education classrooms. As discussed above, Student would then have had multiple opportunities to practice what he had learned in the classroom and on campus. As part of the IEP team, Walker-Sean was on campus full-time as counselor and would be monitoring Student and collaborating with his other IEP team members on a regular basis. Niebergall also testified that Student would have had opportunities in his directed studies class to practice his coping skills learned through counseling and social skills group, and that she would collaborate regularly with Walker-Sean as to Student’s progress. 32. Student contends through the testimony of Dr. Morrison and Dr. Kaler that, because of Student’s weaknesses in the area of social interaction with his peers, Student required one hour a week of individual counseling through the entire school year, and two hours a week of social skills group from the beginning of school, rendering District’s offer of counseling services and social skills group inappropriate. However, Walker-Sean credibly explained that the FAPE offer was designed to front-load Student’s instruction in social skills through individual counseling in the first two months of the school year, during which his counselor would have the opportunity to learn more about him and his needs and select a group of peers that were compatible and had similar social needs for the social skills group. As discussed above, Walker-Sean and Niebergall credibly testified that Student would have additional opportunities to practice his social skills in his directed studies and other classrooms and in other campus activities. Walker-Sean persuasively testified that, after the first two months of school, Student’s school counselor would be an active member of Student’s IEP team, would collaborate with his case manager, teachers and other IEP team members regarding his social emotional needs, and monitoring his PBSP and social behaviors, particularly in the areas of social pragmatics and reciprocal communication. Student would also be provided with a “pass” to access his case manager whenever he felt the need to do so. Walker-Sean’s and Niebergall’s opinions carried more weight on this topic than Dr. Morrison’s and Dr. Kaler’s opinions based upon Walker-Sean’s and Niebergall’s familiarity with OPHS and its classes and programs available to Student. 33. Student’s argument in his closing brief that District’s offer of a social skills class was, in effect, illusory was speculative, not supported by any evidence, and not persuasive. Student’s argument was based upon the fact that, at the time of the IEP, no such class existed. However, Walker-Sean credibly testified that, despite the lack of a special education social skills group at OPHS at the time the IEP offer was made, she had the resources available to put an appropriate group together for Student if he had attended OPHS. She explained that, after working with Student for the first two months of school, she would select other students on campus with IEPs who would be appropriate participants in a social skills group and the new group would then be scheduled as called for in Student’s IEP. Student did not offer any evidence that a social skills group could not have been established for Student, and therefore the argument was not persuasive when considered in conjunction with Walker-Sean’s testimony. In summary, Student offered no credible evidence that District’s IEP offer of counseling and social skills class, along with the PBSP, was not appropriate to meet Student’s identified needs or that District could not implement the IEP supports and services District offered. As discussed above, District met its burden of proof by the preponderance of evidence on this issue. 34. Regarding SL services, as discussed above, Ferguson credibly testified that, based on her years of experience as a SL therapist in the educational setting, and on Student’s 2011 assessment results, Student did not require speech therapy from a SL therapist; instead, he required appropriate instruction from qualified District staff on the skills needed to engage in appropriate conversations and interactions with his peers. Walker-Sean, Alford, Ferguson and Niebergall credibly testified that those skills could successfully be taught and monitored by Student’s counselor and teachers at OPHS. On the other hand, in Schnee’s opinion, Student required speech therapy from a licensed speech therapist, as opposed to instruction from the school counselor and social skills teacher, to address his needs in the areas of inferential reasoning, pragmatic language and reciprocal conversations. When the two opinions were considered in light of all of the evidence presented on this issue, District’s position carried more weight for several reasons. The evidence established through Ferguson’s, Walker-Sean’s, Alford’s, and Niebergall’s testimony that counselors and teachers at OPHS were sufficiently qualified to address Student’s social pragmatic and reciprocal conversation needs through goals one through four in counseling, social skills and direct studies classes, as well as during actual situations in Student’s academic classes and during recess and lunch time. Student offered no credible evidence to support his contention that he required one hour a week of individual or small group SL services in addition to or in place of what District had offered to meet those needs. Under Rowley, supra, 458 U.S. at p. 209, District’s offer of services provided by members of the IEP team to support Student’s unique needs, including in the areas of inferential reasoning, social pragmatics and reciprocal conversation, was appropriate. 35. As to OT, the evidence established through Forman’s credible testimony that District appropriately determined that Student did not require OT services. Student offered no evidence to the contrary. 36. In summary, District’s June 14, 2011 IEP offer of placement, supports and services was calculated to provide Student the opportunity to access his education and obtain some benefit from the curriculum. District met its burden of proof by a preponderance of the evidence that District’s June 14, 2011 IEP offered Student a FAPE in the LRE. (Factual Findings Numbers 1-72 and Legal Conclusions Numbers 3-36). 1. The June 14, 2011 IEP offered Student a FAPE. 2. If Parents elect to enroll Student in a District school, District may implement the June 14, 2011 IEP in its entirety without Parents’ consent.